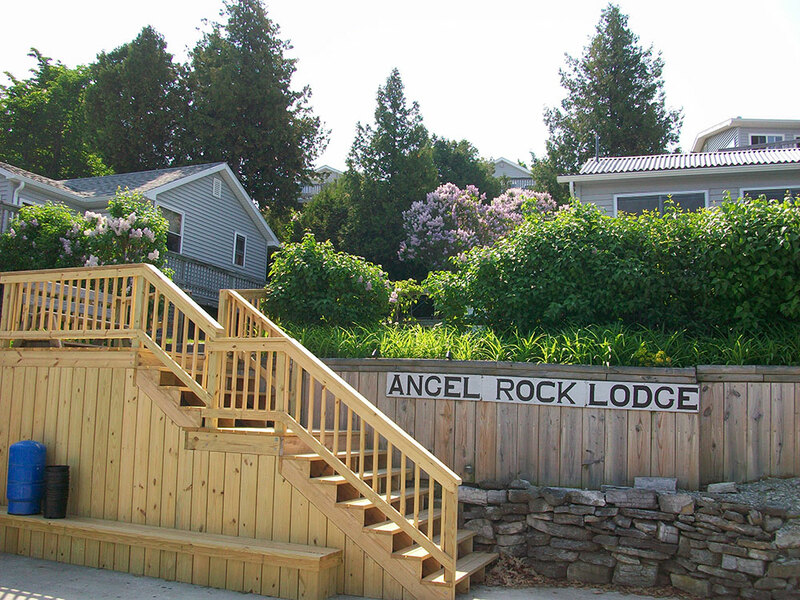 Our location at Angel Rock is built on ancient limestone, therefore none of our cottages or vacation homes have basements, which in most cases means that the use of between 3 and 7 steps is required to enter the building. 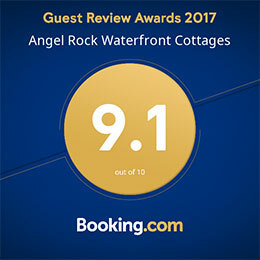 We do offer one fully handicapped accessible vacation home – #17. 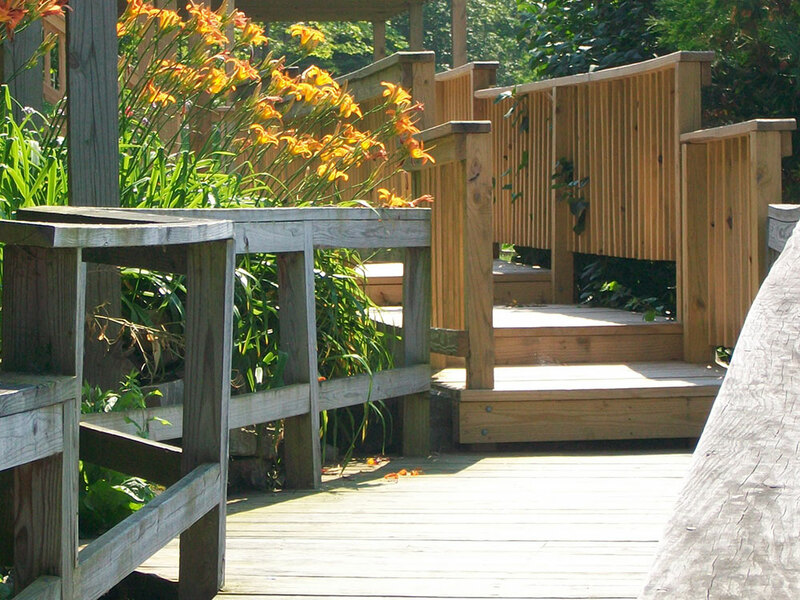 This home offers guests the choice of using either a ramp or stairs for entry. 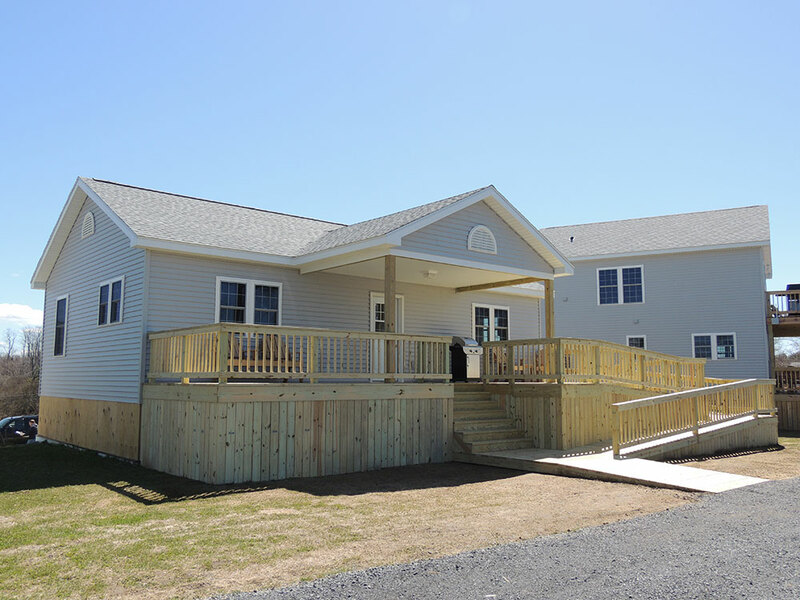 It also has a fully handicapped accessible bath with roll-in shower and grab bars, plus a wider door opening in one bedroom. 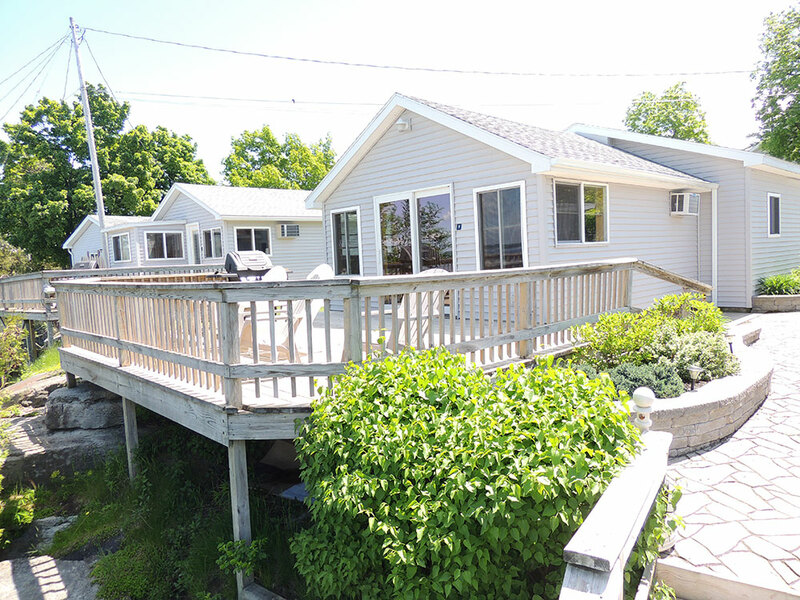 Cottage # 5 has a ramp entrance instead of stairs, but does not offer the handicapped accessible features of #17. This is a good choice for someone who uses a walker, but does not need an ADA bathroom. 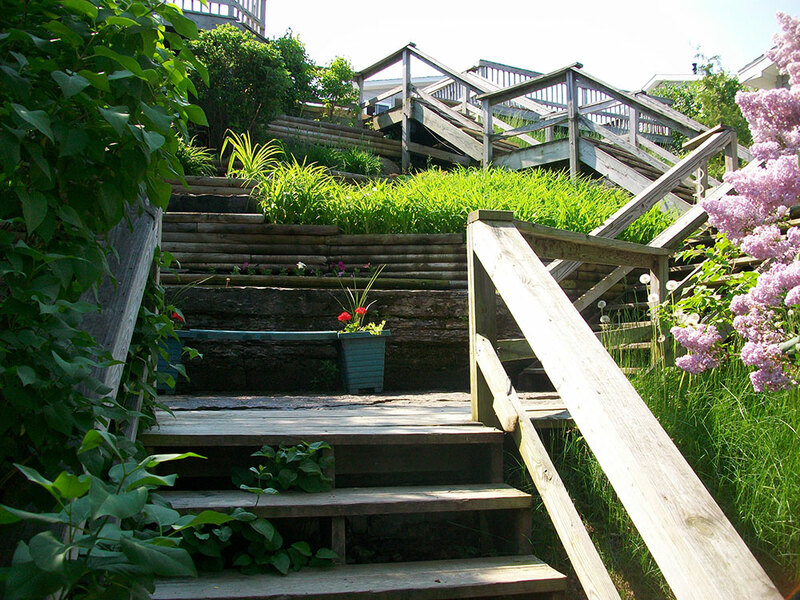 Our waterfront area is built into a hillside, and our five waterfront cottages, (#1, #2, #3, #12 & #13), along with our dock area, do require the use of stairways & walkways to reach them. 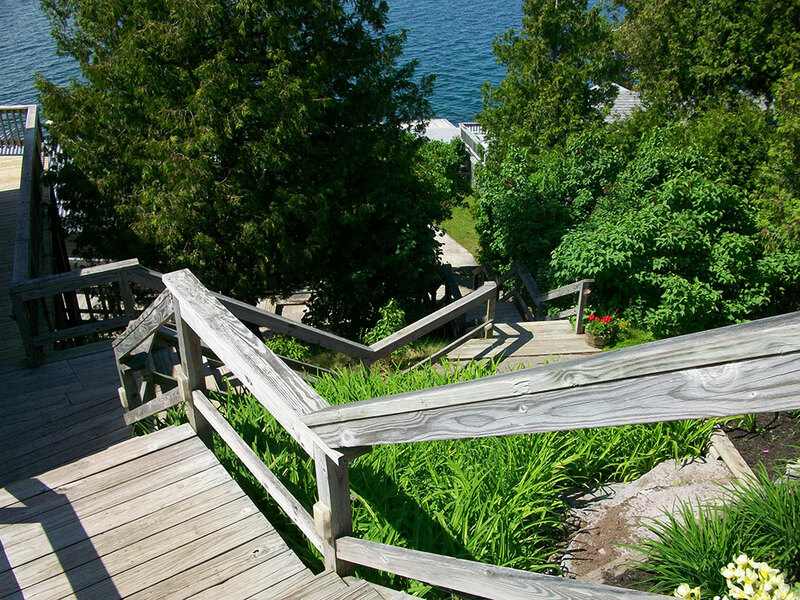 These cottages should not be chosen by guests who find stairways to be a challenge. 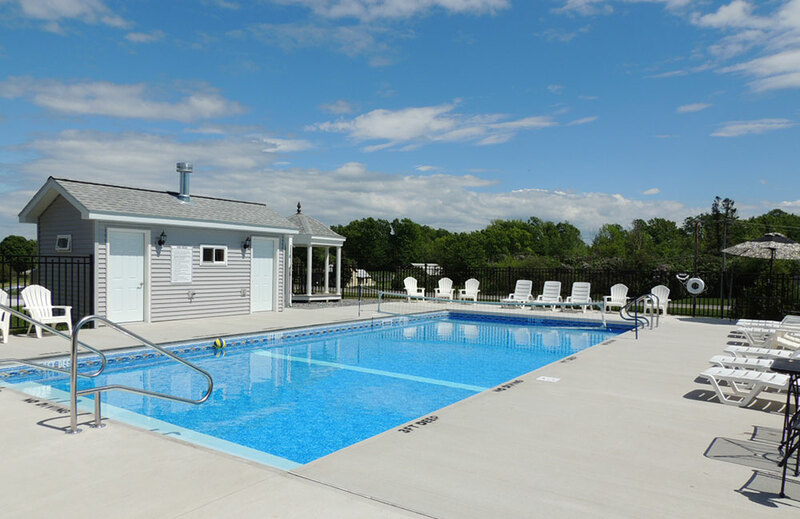 Our heated seasonal outdoor pool is also fully handicapped accessible – with both an ADA compliant bathroom and a pool lift, plus two pool area entry gate options, one with 3 steps and the other on level ground. 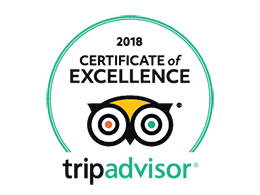 Please call our office at 315-654-2495 if you have any questions or concerns about accessibility.